Thank you for your patience as we are in the process of updating our website contents and pictures. Oregon Shepherd, LLC is a small Oregon-based sheep wool products development company formed in 2002 by Margaret Magruder (and her former partners Joel and Kay Pynch). 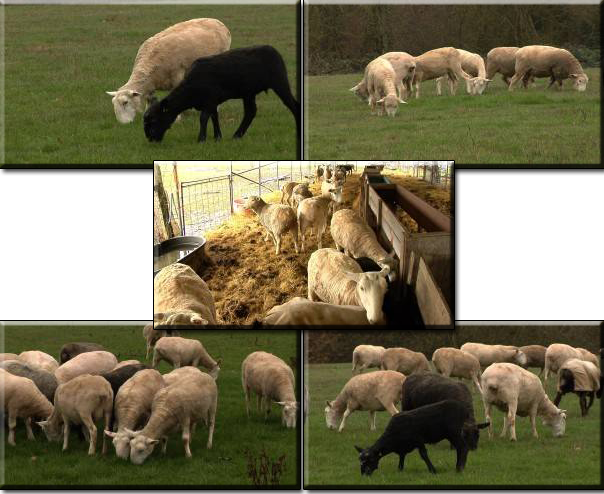 The owners have a lifetime involvement in agriculture with a specific interest in sheep and wool. Ms. Magruder initiated and managed a project exploring alternative uses of wool for the Oregon Sheep Growers Association (OSGA), resulting in several innovative new products that are being developed and tested. This work led quite naturally to the formation of Oregon Shepherd, LLC and the development of a business and marketing plan to bring these products to market. For over 40 year, Margaret Margruder has been an active partner in the family business, Margruder Farms, previously a diversified livestock operation which then moved into a sheep production farm. Due to the increasing cost of processing and cleaning the wool, we have opted to use product from the wool textile industry which comes pre-processed therefore lowers our cost of operation allowing us to pass the savings on to our customers. The product is still all 100% natural wool that is shredded from the wool textile and made into our blow-in Natural Wool Insulation. 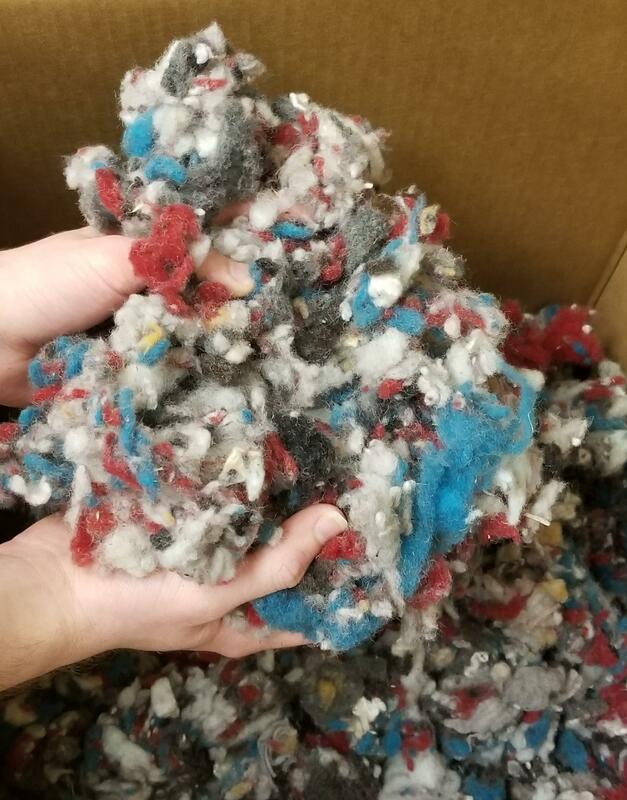 This gives the loose-fill insulation multiple colors of naturally dyed wool and easy to handle whether installing by hand or by using an Insulation Blower (rentable at most large Home Improvement Stores). No sheep are harmed in the process of shearing their wool. A unique niche and superior products in the alternative insulation materials category, Oregon Shepherd, a leading sheep wool insulation producer of an 18,000 square foot manufacturing and distribution facility located in Rainier, Oregon. Rainier is a great place and we’re glad to be here. We are excited about the opportunities here at Oregon Shepherd. Our products have a lot to offer consumers in terms of quality, ease of installation and of course being a renewable resource. Even though this is a niche within the insulation industry, it is really poised for growth especially as remodeling and new home sales continue to improve, as well as Tiny Homes and Camper Van Conversions become more and more popular. Our Wool Insulation products are 100% natural which results in zero VOC emissions and no off-gassing both during their manufacture and in the use of. It absorbs and retains toxins, absorbs and later releases moisture, and is a great option for a renewable recyclable product. It provides superior breathability, improves indoor air quality and is non-allergenic. As a result, it is completely safe to handle and install without the need for protective equipment typically used during traditional fiberglass insulation. Homeowners looking for environmentally friendly ways to minimize their “carbon foot print” and reduce overall energy costs are selecting Natural Sheep Wool Insulation. Oregon Shepherd, leading in Natural Wool and Home Insulation is proud of our PermaBatt® line of sheep wool insulation products. PermaBatt® is a natural Insulation for walls and other framing in the home and is a natural extension to our current products which fills a need for our customers wanting to use in addition to, or instead of the loose-fill wool insulation. In addition to the superior insulation properties, PermaBatt® utilizes a proprietary, ultra fine mesh to retain the insulation in vertical framing spaces, ceilings, or under floors. The depth of the installation provides the criteria for the R-factor appropriate for the particular installation and this unique method has received praise from builders, architects, insulation installers and homeowners alike. Our PermaBatt® insulation products result in zero VOC emissions, both during their manufacture and in use. They provide superior breathability, improve indoor air quality and are non-allergenic. As a result, they are completely safe to handle and install without the need for protective equipment typically used during traditional fiberglass insulation.